UT is a confederate conservative campus? Maybe when pigs fly. While Dale Baum argues that the University of Texas is the most confederate campus based on our statues, I can’t help but laugh at the assertion. First of all, there must be some bias in his argument considered he is an A&M history professor. More importantly, the ideology of a group of people are not defined by the statues that they encounter. Especially not statues that were erected decades ago. Just because the statues around campus depict people who owned slaves, it does not mean that our campus condones slavery as a whole. Furthermore, such statues were not built for the purpose of supporting slavery, but as remembrances of their leadership. Sure “Wilson screened ‘The Birth of a Nation,’ which portrayed black people as villains and the Ku Klux Klan as heroes, at the White House.”( Slavery and U.T.) If need be, we can take out the statue of Robert E. Lee and replace it with a statue of Gandhi, but please, don’t criticize a campus on faulty claims. Did I mention A&M has a statue of Sul Ross, another Confederate General? Plus, if statues really are that much of an indicator of ideals-which they really aren’t, actions are- then do our statues of Barbara Jordan and Martin Luther King appeal to no sense of civil justice? The University of Texas at Austin is almost undeniably the most progressive and liberal campus in the state of Texas. Instead of worrying about statues, I would worry about the lack of racial diversity, cultural diversity, religious diversity, and open-mindedness in most other Texas colleges and universities. Man….this is a tough one. When Robert Titus talks about his experience with experimenting and his thoughts to himself as he “respect[s] the aims of the experiment,[but is] revolted by the means.” (Website) However, I can’t help but look at fatal diseases that have been eliminated due to animal testing. Back at my home in Clear Lake this weekend I saw a bulletin board going down Highway 3. 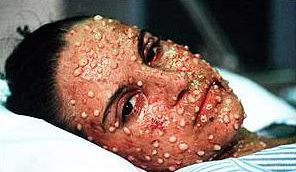 It said, “Have smallpox? Thanks to animal testing you don’t.” Small pox, polio, cholera, diphtheria, and other diseases/conditions have been eliminated with the help of animal testing. Also, I did not like Spiegel’s argument for “empowering people to make positive changes in their diets, and to fully utilize alternative therapies such as nutrition, herbology, homeopathy, and acupuncture.” (Spiegel 72) She is misdirecting the argument. Yes, perhaps there should be more emphasis placed on healthy lifestyles, but naturalistic approaches to health don’t always work. I do believe in avoiding experiments in which scientists cause “intentional injuries in a healthy individual” (Spiegel 65) animal, or human, but if an experiment that could save the lives of hundreds of people requires the death of lab mice, I am willing to use the ends to justify the means. If medicine is tested on rats and side effects end up killing the rat, ultimately I am happy the medicine was tested on the rat before it was tested on someone close to me. Without animal testing, it is possible that diseases like smallpox would still be a problem today.